Love it! The colors are great! Another great outfit! I love the colours. we ll follow u ! 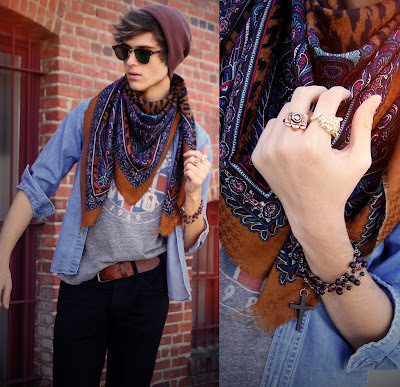 You have a great style, I love your scarf, i want it for myself!! Wow great combination i love it and your camera ring is amazing. OMG ! I absolutely love your scarf ! Oii. I love your blog! If you can follow my’ll be happy. I just discovered your blog from Lookbook, and I LOVE it. I really like how you post a look and your inspirations for that look. It’s like every post is a new theme. I adore the 60s bohemian vibe you have going on with this one. Love the colorful scarf ! …SUPER ,I LOVE THIS BLOG 🙂 !!! I’M NOW FOLLOWING YOU !! wcwlukoe,If you are going for best contents like I do, just go to see this web page daily because it offers quality contents, thanks! ingsyz,Thanks a lot for providing us with this recipe of Cranberry Brisket. I’ve been wanting to make this for a long time but I couldn’t find the right recipe. Thanks to your help here, I can now make this dish easily. qhocpqdt,We have a team of experts who could get you the correct settings for Bellsouth net email login through which, you can easily configure your email account with MS Outlook. ohoupq,Waw! Its really great and wonderful ever i found. Thank you for sharing this info. jezfke,Very helpful and best artical information Thanks For sharing. raqxhldico Yeezy Shoes,Waw! Its really great and wonderful ever i found. Thank you for sharing this info.